FNB Wits fell to the team’s heaviest defeat in the semi-finals of the Varsity Cup this year, losing 65-18 to FNB Maties at the Danie Craven Stadium in Stellenbosch on Monday night, April 2. The stadium was buzzing before kick-off, creating a strong home ground advantage for the Maties players and paving the groundwork for FNB Maties to score an early try in the first minute of the game, which was successfully converted by Chris Smith. Maties then outskilled Wits to put down four more tries before allowing Wits to enter the game through a Daniel Kasende Kapepula try, which was converted. However, dominant Maties had the final say of the half scoring one more try before the break, going in with a firm lead of 40-9. To the relief of the Wits fans, the Gauteng side came out fighting and scored the first try of the second half through David Cary. There seemed to be a bit of hope on the horizon for the boys from Braamfontein, however, this was rapidly squashed by four Maties tries to round up the game with 10 tries for the home team, creating the final 65-18 score line. Try scorer, Kapepula, said after the game, “It was a tough game, we had to chase the game which forced us to play risky rugby but we gave it our all and showed strong character.”Although Wits were defeated in the semi-final it was a huge achievement for the boys to make it to this stage in the Varsity Cup. Fourth-year BEd student, Neil Spilhaus, said that the possible factors that helped the Wits rugby team this year was a rise in team morale. FNB Wits have had a history-making season. 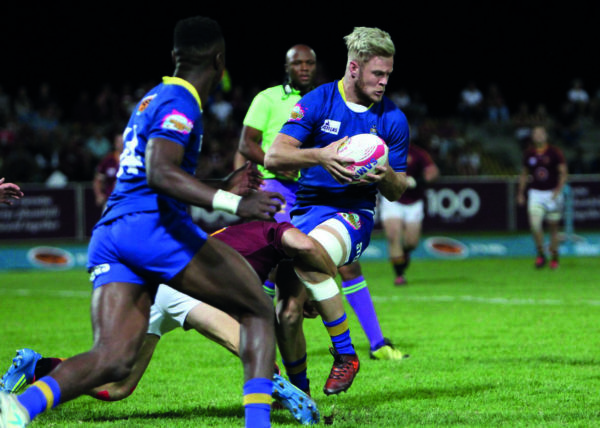 It is the furthest Wits rugby has come in Varsity Cup to date and 2019 promises a consolidation of the team’s achievements. FNB Maties will face FNB NWU in the Varsity Cup final on Monday, April 16.